Dr Paula Barrett has been published widely in the area of prevention and treatment of anxiety and depression and the promotion of resilience through the evidence-based Friends Resilience Programs. 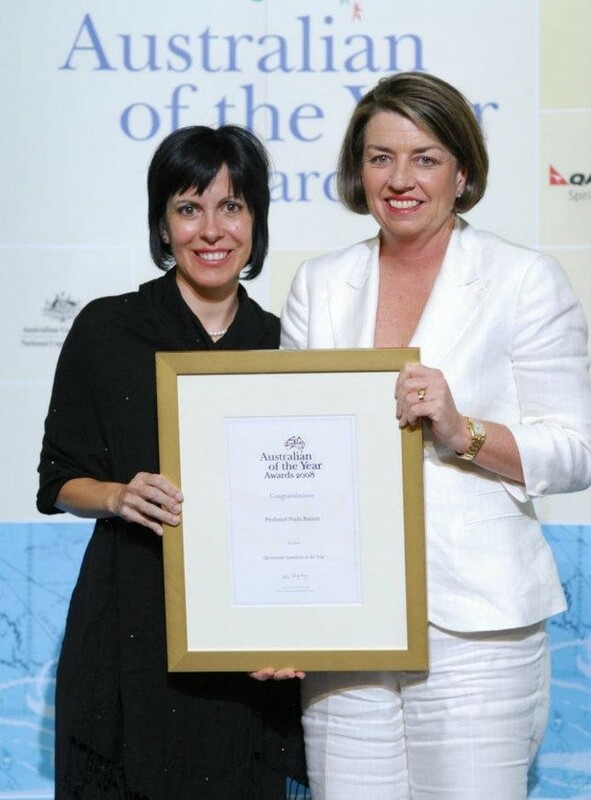 Paula received the Highly Commended Certificate in the Human Rights Medal of the Australian Human Rights Commission for her contribution to the well being of children, youth and the wider community. She has been recognised as being amongst the top 1 percent of publishers within the field of Psychology and Psychiatry at an international level. Paula was awarded a Fulbright Scholarship at the end of her high school studies, and a Commonwealth Scholarship in 1991 to complete her research Doctorate, the National Australian Association for Cognitive and Behaviour Therapy Early Career Award for her research and innovation in the field of Clinical Psychology in 1998, and the National Australian Psychology Society Award for outstanding scholarship in the discipline of Psychology in 1999. Paula also received the ‘Lord Mayor’s Australia Day Achievement Award’ for far-reaching services in the community for families and children. She is a member of the Centre for Excellence in Mental Health at the Australian National University. For over two decades Paula has authored and evaluated the well-known FRIENDS for Life program recognized in an evidence-based review conducted by the World Health Organisation for the prevention and treatment of childhood and adolescent anxiety and depression. The FRIENDS program has achieved worldwide success within Canada, New Zealand, Ireland, the United Kingdom, the Netherlands, Finland, Norway, Sweden, Hong Kong, China, the US, Portugal, Greece, Cyprus, Mexico, Peru, Brazil, Japan, Korea, Taiwan, Singapore and Malaysia, and is also undergoing randomized controlled trials in many other countries. In 2007, Paula’s Fun Friends program was officially launched by the Queensland Premier to promote resilience and aid in the prevention of anxiety in 4 to 7 year olds. Paula has also published FOCUS, a recognised treatment for OCD that has been proven effective after 7 years follow up. Paula is an acclaimed and engaging speaker in both international and national forums, having delivered numerous keynote addresses worldwide. Collectively her prolific writing, generosity of spirit and fervour for research have had a significant impact on the lives of literally thousands of children all over the world. Paula receives excellent feedback for her Seminars and she is passionate about helping and working with children. Paula is a strong believer in life long learning, and staying active. She enjoys spending time with children and her family. In particular, she loves taking them to natural reserves with waterfalls and creeks to have fun and adventures. Paula also volunteers at Animal Sanctuaries. Paula loves the Australian outback. When she can, she goes to a quiet Island where she enjoys watching the marine life, swimming, and running along the beach. Paula supports Animals Australia. Paula believes our society would benefit from a change of paradigms in regards to the way we treat animals who are Sentient Beings just like us. We need to develop understanding for all living beings wellness and we need to stop their unnecessary suffering, and to promote cruelty free eating habits.